You have requested further details about The Swan Hotel, Bibury, at present the details we have are as follows. 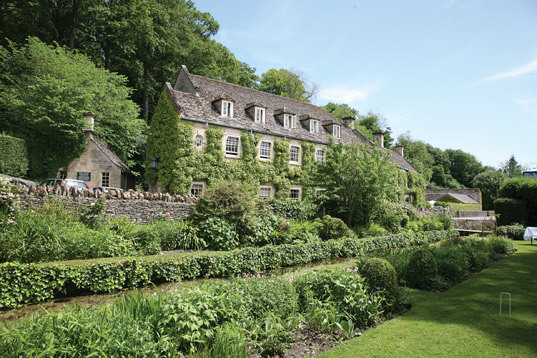 The Swan Hotel is nestled peacefully on the enchanting banks of the River Coln in the heart of Bibury Village. Home to the famous Arlington Row and Bibury Trout Farm; Bibury is often thought of as the prettiest village in England, as once quoted by Arts and Crafts Designer, William Morris. The hotel itself is quintessentially Cotswolds, with a beautiful exterior, stunning riverside gardens and stylish, comfortable interiors. Inside the hotel, there are stunning sitting rooms to enjoy afternoon tea in front of open log fires, as well as a contemporary bar and brasserie, which of course specialise in the local Bibury trout, along with a wide selection of other seasonal dishes, using locally sourced ingredients wherever possible. Each of the 22 bedrooms are individually designed and boast, large, modern bathrooms with luxurious full-size Molton Brown toiletries. If you really want to treat yourselves, there are even three garden cottages to savour - one with its own kitchenette and one with a private outdoor hot tub for your enjoyment.